A blog and The Life In Between : Where To Shop This Spring. Where To Shop This Spring. There is just something around this time of the year when the weather warms up and you can finally move those chunky knits over to the side and make space for all the cute outfits. 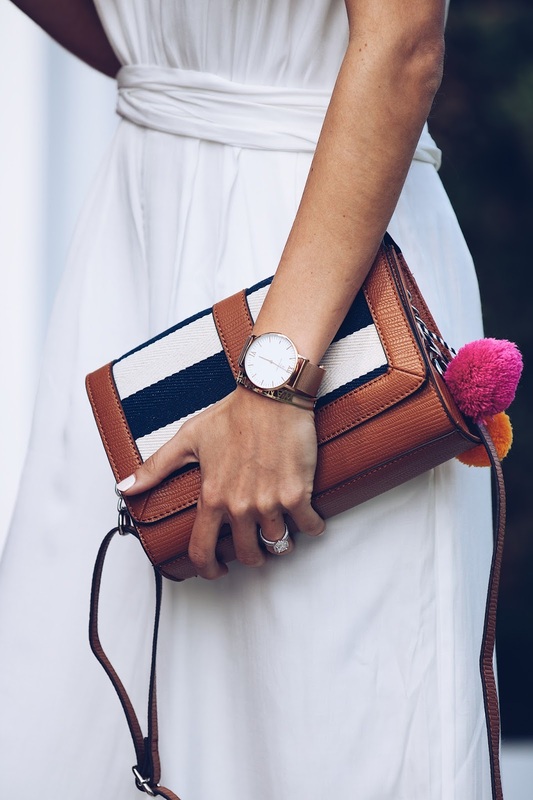 With Coachella being just around the corner I am beginning to add more fun and colorful accessories to my wardrobe -- stripes, pom poms so make sure to stay tuned because I will be sharing all the cute pieces this week on the blog and IG. Revolve. They pretty much have anything you need, everything from shorts to jumpsuits, dresses, swimsuits and even shoes. Great thing about Revolve is that they carry many different Brands, so instead of hopping around through 10 different websites you can quickly find everything you want on there. Some of my fave designers they carry are Lovers+Friends, For Love & Lemons and NBD. Jet Set Diaries. The jumpsuit pictured in this post is by JSD and I absolutely love it, it's only a handful of pieces I have from them but I plan on adding many more over summer. JSD might seem a little pricey but the quality of the clothes is great and they do last for a very long time. Lulus. My go-to for all the dresses whether I need a summer dress or a chic dress for an event I am going to it's a one stop shop. They do update their website almost every day with new items that do sell out pretty quickly so if you have eyes on a certain piece I highly suggest getting it right away! Windsor. Affordable fashion for less. I have many pieces from them including shoes, shorts tops and dresses (now that I think about it almost half of my closet is from them!). Highly recommend following them on IG as they do a lot of reposts to give you a better idea about how the items look on other people. Beach Riot. A great store if you're looking for cute rompers and of course bikinis! I have gotten many compliments on my swimwear I wore in Bali and believe it or not every one of them was by Beach Riot. They offer a large variety of designs/prints/styles so that you can find anything you want!